Want to develop a more empowering, successful mindset? Tired of negative thoughts bringing you down and undermining your success? 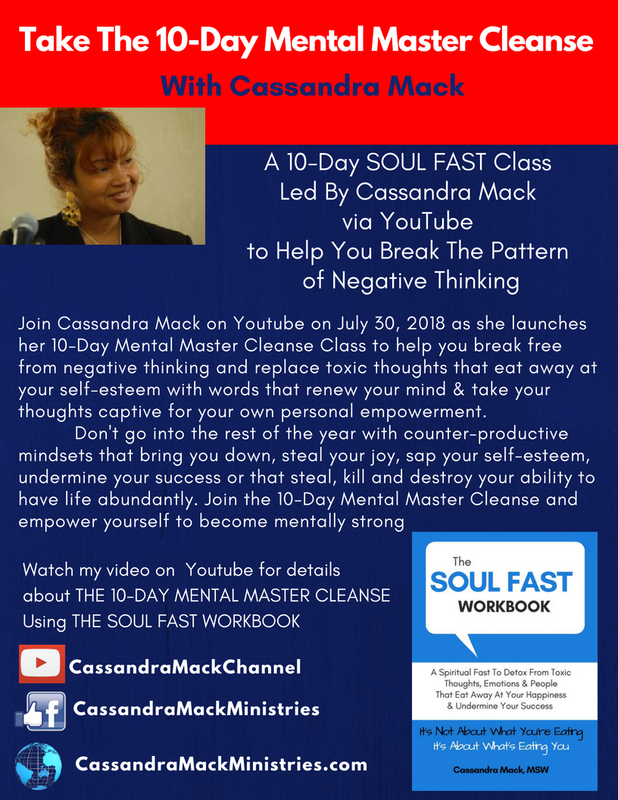 Join me on July 30, 2018 for a 10 Day Mental Master Cleanse That I Will Be Doing On Youtube. Watch the video to see how you can do the 10 Day Mental Fast.